The Battle of the Boyne, prior to the death of the Duke Friedrich of Schomberg before William III. Read below and spot the error. After James II of the House of Stuart was forced off the throne of England in the Glorious Revolution of 1688, he sought to regain his fortunes in Ireland. James went into exile in France in January 1689, as a guest of Louis XIV, the king of France. After his Protestant daughter Mary and her husband, William of Orange, stadtholder of Holland or the Netherlands, were secure in England, Scotland and Ireland were still largely favorable to the Stuarts. In Ireland, the Catholic population favored James II, who was a Roman Catholic. Regardless of the regime change in London, among the Irish Catholics, James II was still “Righ Seamus” (King James). Louis XIV firmly supported James when he landed in Ireland at Kinsale in March 1689. Not only did Louis XIV see this as a real “second front” in his struggle with William, but he also seems to have been personally committed to James’s cause. In England William and Mary had to support the Protestant succession to the throne, but the Irish Parliament James summoned came out for freedom of conscience. One of the causes of the Glorious Revolution was that James was building an Irish army in Ireland to offset the forces in England that were more under the control of the Protestant Parliament. 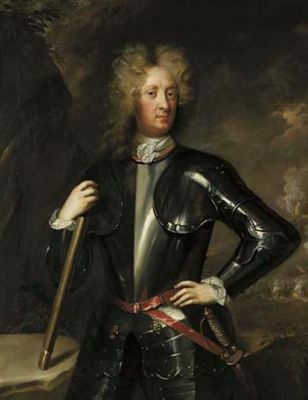 Richard Talbot, the earl of Tyrconnell, had been charged in 1685 to form the Irish troops and ruled Ireland in the name of James as his lord-lieutenant. Unfortunately, not enough authority was given to Patrick Sarsfield, a natural leader who inspired his troops quite beyond what Tyrconnell could do. This seems to have aroused Tyrconnell’s jealousy, which undermined James’s hopes of using Ireland as a launching point to regain England. In August 1689, William sent an army across the Irish Sea to face James in Ireland. It was commanded by Friedrich Hermann, the first duke of Schomberg. Like Sarsfield, who had fought for the French in the Dutch War of 1672, Schomberg was a veteran of the wars in Europe. Ironically, Schomberg had fought in the French Army as well, but when Louis XIV revoked in 1685 the Edict of Nantes, giving toleration to French Protestants (Huguenots), Schomberg left French service to become commanding general of the margrave of Brandenburg, Frederick William. In 1688, he accompanied William to England, and was there made the duke of Schomberg. However, his military record in Ireland proved disappointing to William. William landed at Belfast on June 14, 1690. Having secured Ulster, the traditional Protestant stronghold of northern Ireland, William moved south toward Dublin, the heart of the Catholic south that supported James. On the strategic defensive now, James decided to meet William along the line of the Boyne River, using it as a natural defensive rampart against William’s southern advance. William’s army numbered about 36,000 men, while James could muster only about 25,000 men. 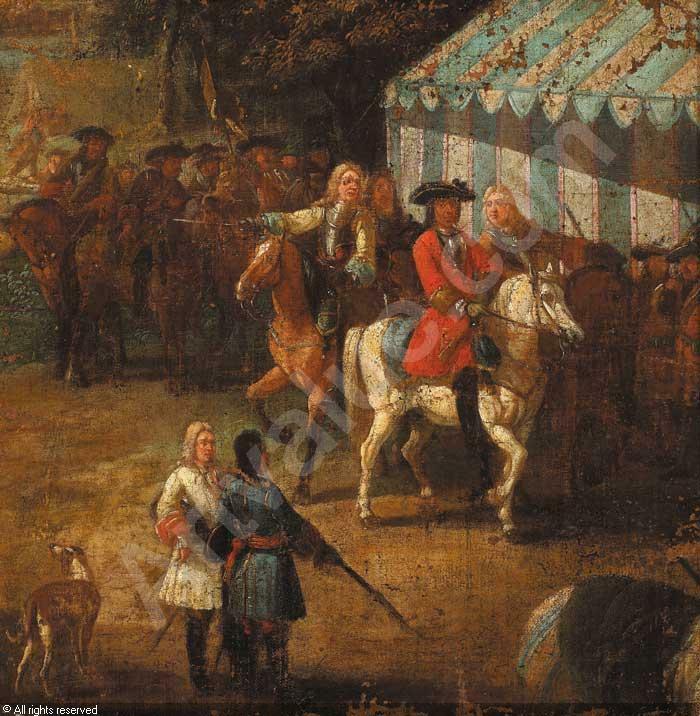 Moreover, William’s army was given a strong boost by his Dutch Guards, veterans of the years of warfare against Louis XIV. On July 1, the two armies met along the banks of the Boyne. William decided to force a crossing of the river about four miles from the city of Drogheda. Immediately, the strategic deficiencies of James’s army showed themselves when William was able to open the battle with an artillery barrage from a cannon he took with him from England. James had no such strength in artillery. William, Schomberg, and other military advisers had decided to cross the Boyne at the village of Oldbridge, where there was some natural shelter for his troops. At the same time, part of the Williamite army made a feint north up the river, hoping to force a response from James to protect his line of retreat. In the morning of July 1, the troops began their march under Schomberg’s son, Charles de Schomberg. The fighting under Schomberg, while not decisive, succeeded in tying down some 6,000 of James’s soldiers. Four hours after the combat had started in the north, William’s troops under Schomberg began the main crossing at Oldbridge, with the Dutch Guards bearing the brunt of the offensive. In what would become one of the most brutal battles of the era, the Dutch Guards, supported by regiments of French Huguenots, forced a passage of the Boyne. They ran into stiff opposition from the Irish Guards when the earl of Tyrconnell led a charge of his cavalry down the slope of the river, adding their weight to the contest between the Dutch and Huguenots, and the Irish Guards backed by other Irish regiments. For two hours, a savage fight followed, with neither side gaining the upper hand. The battle was so intense that the elder Schomberg spurred his horse into the thick of the fight to urge on the Dutch. In the heat of the moment, he had failed to put on his breast plate and was mortally wounded by Tyrconnell’s Irish horsemen. With the bulk of James’s army now tied down in the north or at Oldsbridge, another Williamite column had crossed the Boyne to the south. At noon, William himself crossed the Boyne at Drybridge, a deep crossing spot. Meanwhile, James kept his attention riveted on the fighting at Oldbridge. With the appearance of William’s fresh troops, James’s Irish soldiers, who had been fighting furiously for two hours at Oldbridge, became seriously outnumbered. James and Tyrconnell began a withdrawal after almost three hours of continuous combat, covered by the sabers of Tyrconnell’s Irish cavalry. James’s army made its retreat to Duleek, where the parts of the army that had confronted the young Schomberg were united with those from the main part of the battle at Oldbridge. Although William attempted a pursuit, he was stopped by the Irish. Although the war would continue until the Irish surrender at the Treaty of Limerick in October 1691, James II would never be able to recover the strategic initiative he had lost on the banks of the Boyne River in July 1690. Further reading: Hayes-McCoy, G. A. Irish Battles: A Military History of Ireland. New York: Barnes and Noble, 1997; Hennessy, Maurice N. The Wild Geese: The Irish Soldier in Exile. London: Sidgwick and Jackson, 1973; O’Callaghan, John Cornelius. History of the Irish Brigades in the Service of France. Shannon: Irish University Press, 1969.